What is Vipassana meditation and how do you practice it? According to many, Vipassana meditation is the actual practice that gave rise to the Buddha’s enlightenment over two and a half thousand years ago. Today, Vipassana is considered one of the most popular forms of Buddhist meditation. In the West, it was popularized by contemporary American Buddhist teachers like Joseph Goldstein, Sharon Salzberg, and Jack Kornfield. Vipassanā-meditation uses mindfulness of breathing, combined with the contemplation of impermanence, to gain insight into the true nature of this reality. 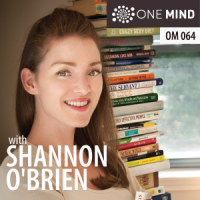 For this episode of the OneMind Meditation podcast, we connected with long-time meditator and Whole U. founder Shannon O’Brien to learn all about Vipassana meditation. Shannon just returned from a 10-day Vipassana meditation retreat—her 3rd Vipassana retreat—and we were fortunate to chat with her while her experience was still fresh. 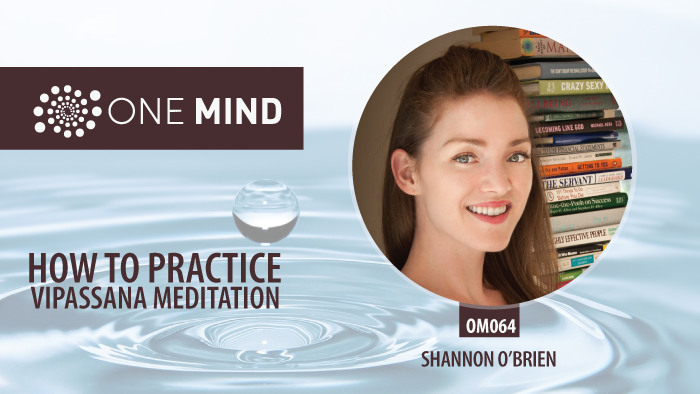 While Shannon humbly claims little expertise or authority in the realm of Vipassana meditation, she was able to offer us an in-depth view of this revered practice from the authority of her own experience. …benevolence, friendliness, amity,friendship, good will, kindness, close mental union (on same mental wavelength), and active interest in others. The cultivation of benevolence (mettā bhāvanā) is a popular form of meditation in Buddhism. In the Theravadin Buddhist tradition, this practice begins with the meditator cultivating benevolence towards one’s self, then one’s loved ones, friends, teachers, strangers, enemies, and finally towards all sentient beings. In the Tibetan Buddhist tradition, this practice is associated with tonglen (cf. ), whereby one breathes out (“sends”) happiness and breathes in (“receives”) suffering. Finally, we explored another key concept in the Vipassana practice called Sankhara. Roughly translated, these are the deep tendencies of our brains and minds to construct our sense of reality based on our fears and desires. They are mental constructs that exert a powerful influence on your choices and thus the direction of your life. The beauty of attending a retreat is that you have the chance to see your sankhara’s clearly. With diligent practice, they become transparent to you. As a result, you’re often able to see reality more clearly, unobstructed by your normal mental constructs. Sannon O’Brien is the Founder and Principal Advisor of Whole U. LLC. 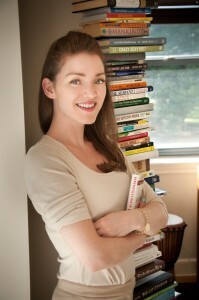 She founded Whole U. after six years working at Harvard and MIT, where she advised both undergraduate, and graduate students. Shannon is the Producer and Host of Whole U. TV, which inspires viewers to “Live a balanced, purposeful life.” Shannon conducts assessments with Whole U. clients, helping them find the clarity, confidence, and connections to pursue their life’s work. Shannon studied communications and media for 18+ years, earning degrees from Boston College; ICU in Tokyo, Japan (as a Rotary World Peace Fellow); and Harvard University-earning a Master’s in Technology, Innovation and Education. She was born in the US, grew up 10 years in Europe, and has since traveled to 35 countries – continuing to open her mind to new people and cultures. What are Sankharas and why are they important? Check out Shannon’s website Whole U. Thanks for that incredibly informative interview with Shannon. I’ve been tossing the idea around of attending a vipassana retreat for a couple of years now but have some physical challenges that I think would prohibit me from getting through it. I wonder if my mind creates the aversion but I don’t think so. I’m almost 60 and feel every minute of it sometimes. I’m smiling, it is what it is. Thanks for your wonderful work Morgan, i benefit daily from it. 2) At 37, I feel every minute of it too 😉 But of course I have no way of knowing to what degree that worsens; or how others’ experience their own sensations. 3) I did meet people there who study Vipassana to help with pain management.. So perhaps the technique could actually be useful in ‘coping’ with your pain? Awesome interview, Shannon. I am amazed about your interpretation on this meditation technique. You have a great grasping power. 1. Your point #3 advising Susan about using Vipassana as a “pain management” technique. Goenkaji, oppose this idea, even though he admits his first intention to practice Vipassana was to cope up with his acute migraine. One should accept the “pain relief” as a side effect of practicing Vipassana, but it should not be your aim. 2. I found volunteering in retreat is more beneficial than just attending. “Dana”, the practice of giving adds value to your practice, as said by The Buddha. Thank you again for the wonderful interview, and I take inspiration from this to practice regularly. How lovely that you had a positive experience volunteering… I hear that it is very powerful. although I have not yet done it myself, I hope to. I’m a big advocate of “service” – and it’s one of Whole U.’s three pillars, along with wellness and career. I fall off the meditation wagon frequently. In fact, I am off it right now 😉 but I personally don’t think we should see this as a “struggle”… because then it becomes an activity that we resent.